These machines are mainly used in drying and extracting fragrance from tea, especially for famous tea and hi-quality tea, the extracting effect is very remarkable. they can also be used to drying food、herb etc. 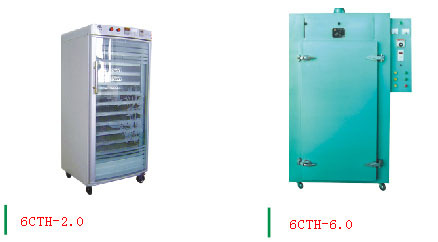 6CTH-2.0 aroma-extracting machine was regarded as bacteria-killing machine, which was useful in killing the bacteria of household goods and roasted seeds and nuts.